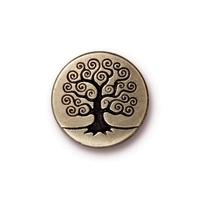 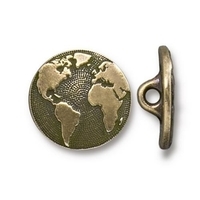 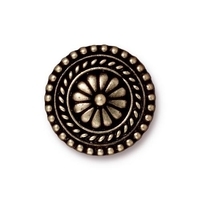 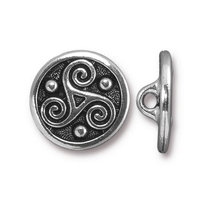 These lovely TierraCast metal buttons are made in California from an alloy called Britannia, which is commonly known as lead-free pewter. 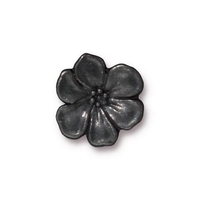 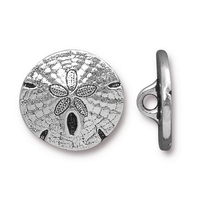 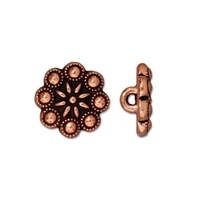 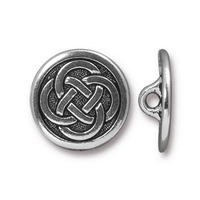 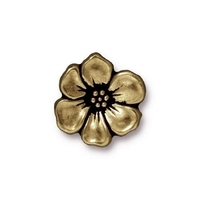 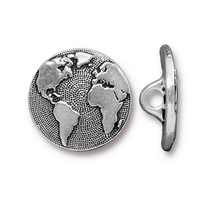 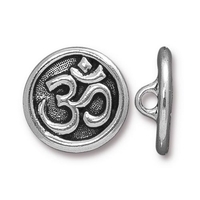 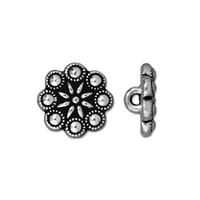 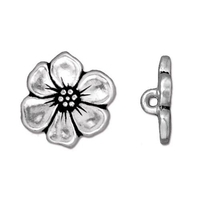 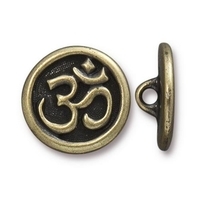 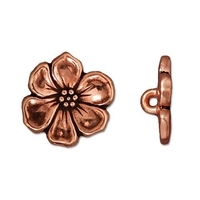 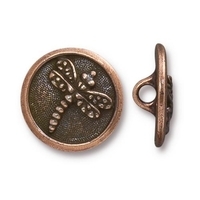 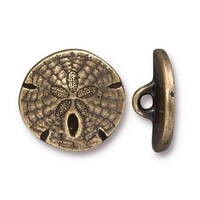 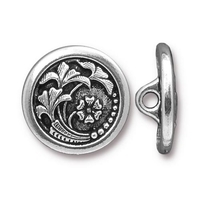 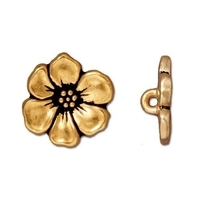 The buttons are given a durable electroplate finish that stands up to hard use. 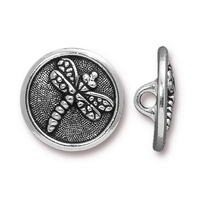 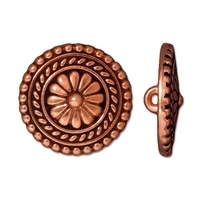 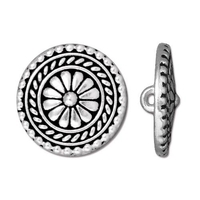 These buttons are the perfect finishing touch for wrapped leather bracelets, as well as for any type of jewelry that you'd like to have a button closure or accent. Our selection includes native-inspired, geometric and symbollic styles, and we like to add new styles as they become available.